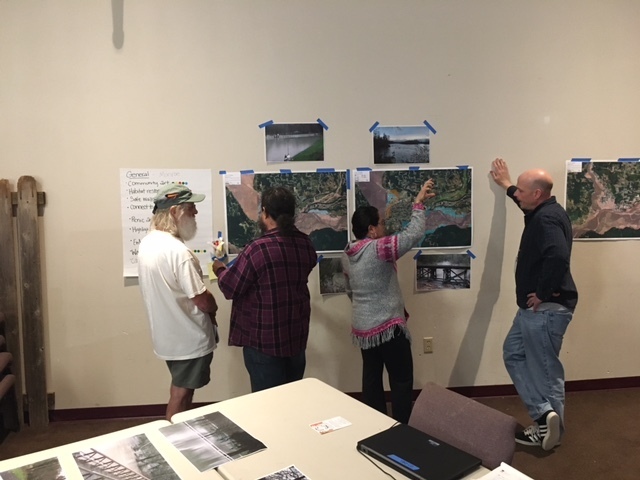 On June 2nd and 3rd, thirteen WASLA volunteers travelled to the Skykomish River Valley to participate in a design charrette with the towns of Sultan and Monroe. The focus of this charrette was to develop and design a water trail, which has the long-term potential to carry people on the river trail through 11 distinct rural towns and cities along the scenic US Highway 2 corridor, via multi-modal watercraft. Sultan and Monroe are in the middle reach of three, and will serve as a template for future charrettes covering the upper and lower reaches. Other participants in this event included the National Park Service (NPS) River, Trails, and Towns Coalition, Snohomish County, WDFW, Forterra, and American Whitewater. 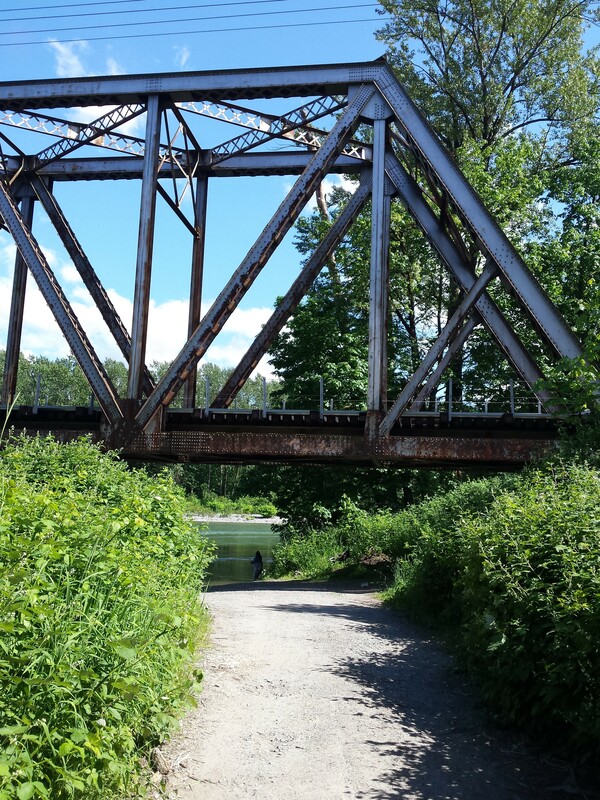 To understand the genesis of this trail project, you have to travel back to 2015, when 30 different public land managers, municipalities, non-profit organizations, jurisdictions, local businesses, and business leagues came together around the idea of creating a water trail on the Skykomish and Snohomish Rivers. 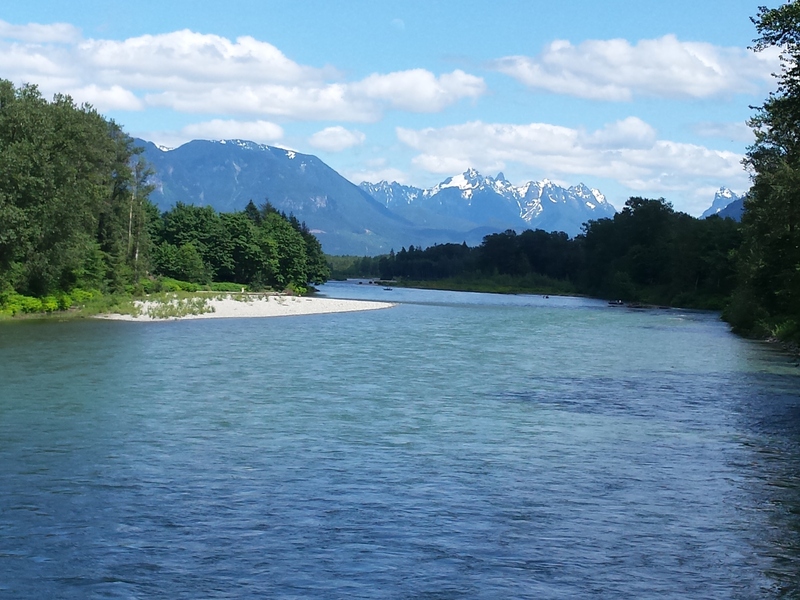 Communities within the Skykomish and Snohomish River Valleys are now exploring a common regional identity centered on the water trail as a way to connect residents and visitors to the river; promote education and stewardship of salmon habitat; and support the local economy. Monroe and Sultan, in the middle reach of the water trail, are the first two towns to actively engage in a trail town design process. Celebrate and promote the resources and opportunities for education, stewardship, and recreation along the entire river corridor. After meeting at noon on Friday for a project introduction and orientation, the teams headed out to their respective towns for a “window tour” on busses that were kindly donated by Outdoor Adventure Center, a local whitewater guiding outfit from Index. This window tour provided the designers and community members an opportunity to understand the scope and scale of the project and better understand the towns’ relation to the river. Community members and local agency representatives were on-hand to answer questions about the project and provide local narrative for the project. Saturday kicked off at 7:30 in the morning with breakfast, and then charretting began! From 8:00am – 5:00pm the Monroe and Sultan teams developed concepts for the water trail. 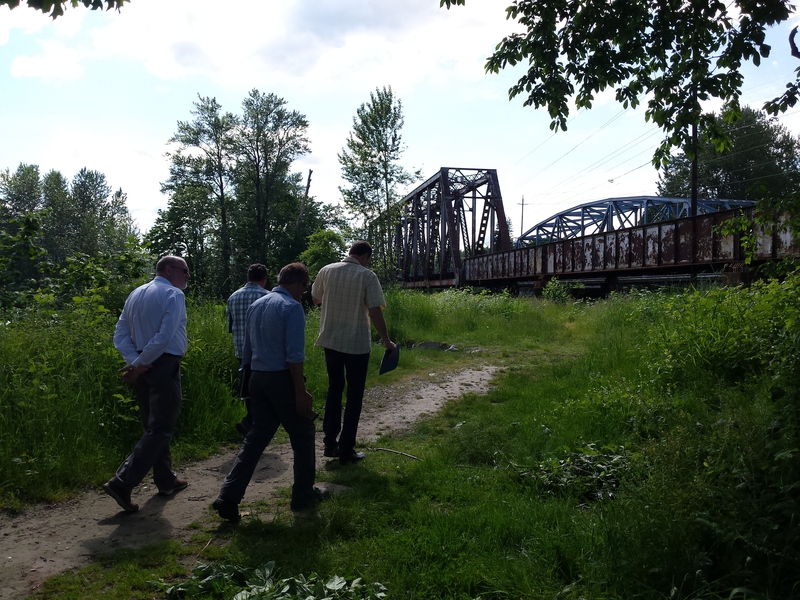 With the needed exception of lunch and dinner breaks, this time was efficiently spent merging art and design in the development of concepts which the River Trail Coalition will use to gain community interest, support, and eventual funding. The end result for each town team was a public presentation Saturday evening. 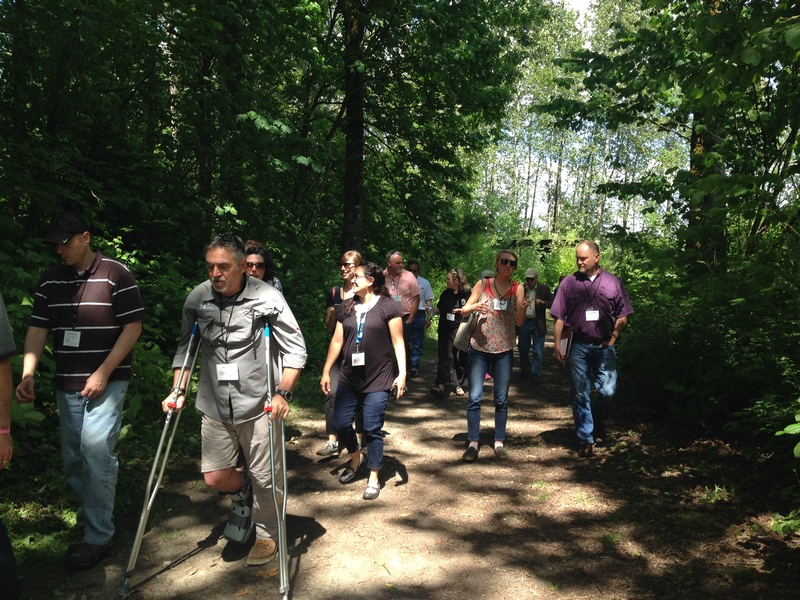 This charrette marks the 15th year that WASLA has joined forces with the National Parks Services Rivers, Trails, and Conservation Assistance program to perform a charrette. The collaborative partnership between WASLA and the NPS-RTCA has led to charrettes across the state and served as a model for collaborative charrettes in other states nationally. This partnership also led to an award from NPS to ASLA National at the mid-year meeting. Mega thanks for your participation in the Trail Town Connections Design Workshop on June 2-3. Thanks to you and our hard-working team captains, resource experts, meal and lodging providers, bus drivers, and all the behind-the-scenes people who supported this intensive two-day effort, we produced a highly successful workshop resulting in creative design solutions--and brought new community awareness to Sultan, Monroe and the proposed water trail. The final team presentation was impressive, and the first time we've experienced having enough time to transfer graphics to a powerpoint show. Kudos to all of you and your efficient teamwork in pulling this off! Community leaders from both Sultan and Monroe have expressed appreciation for our design assistance and are motivated to take your ideas to a next level. Snohomish County Parks, Recreation and Tourism videoed the final presentation and will be exploring how to wrap the results into a summary document and potential guide for other trail towns. We will keep you in the loop with any products that are generated. Take a look at the final powerpoint.